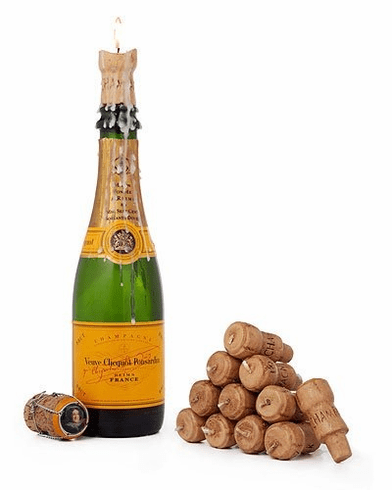 Turn any evening into a celebration with these fine vintage champagne corks. Whether it's a birthday, anniversary, or just a quiet dinner for two at home, these clever candles will brighten up the night by turning any champagne bottle into a candleholder. Best of all, they won't cause you to wake up with a hangover. Set of 4 Corks.